Could it just be this street/area? Locally, we have A LOT of homes on the market; however, some sought after areas do not have homes for sale because the sellers are upside-down on their mortgages. For example, we are looking to move and want a home in 2-3 nearby subdivisions. None of the homes that meet our needs are for sale there. In fact, there are very few homes for sale. 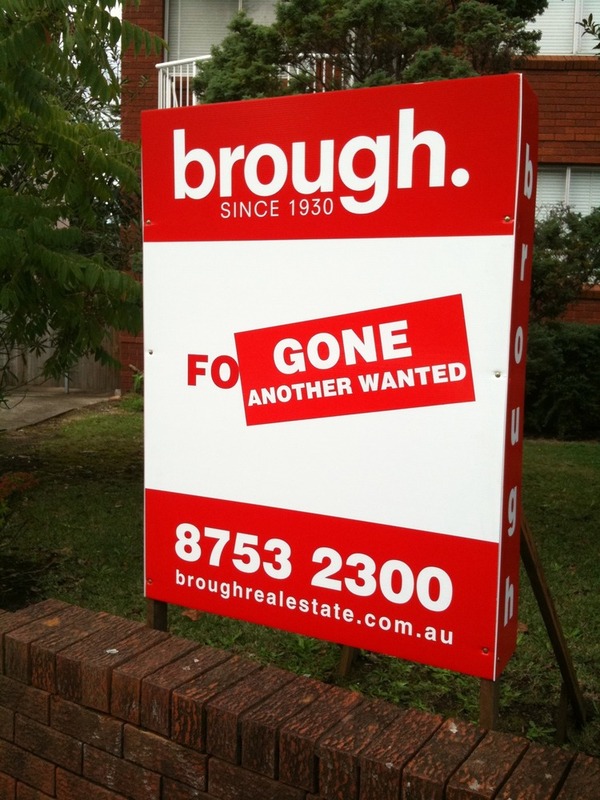 When I asked the real estate agents, they all said because most people owed $100k more than the homes would sell for.Maybe the real estate company is wanting more homes to sell at today’s market rate with either people who are desperate to sell or bought before any potential bubble? @meporter. At the end of the day Real Estate companies are running a business, they need to turn over properties to stay in business, even if that is at a price that is not in the best interest of the Vendor.I see these faux billboards as a tool to entice sellers into a market where they may sell for less favorable price because it suits their Agent.